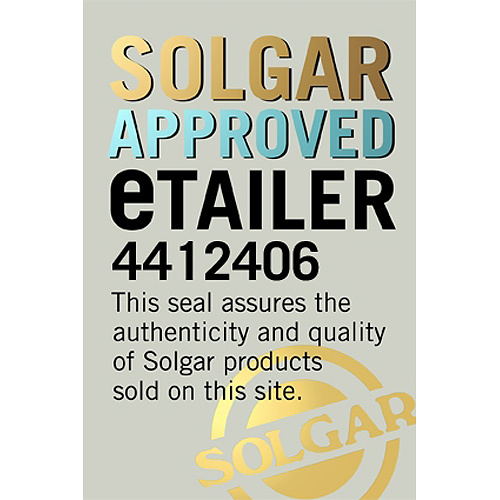 Solgar® understands that good nutrition is the foundation of beautiful skin. 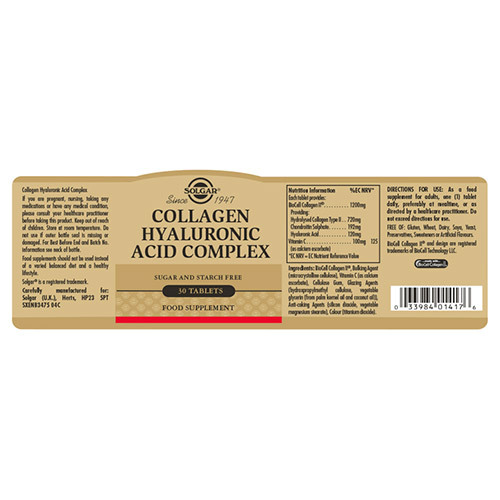 That’s why we created our Collagen Hyaluronic Acid Complex to nourish your skin from within. With increasingly busy lifestyles and other environmental factors, even the most conscientious of us sometimes need a boost to help reduce the signs of premature ageing such as wrinkles, and tired-looking skin. 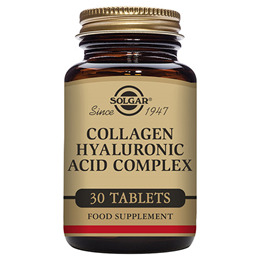 Hyaluronic acid (hyaluronan) is a substance found within almost all of the cells of the human body. In the skin, hyaluronan may help to retain optimal levels of water in the dermis of the skin. 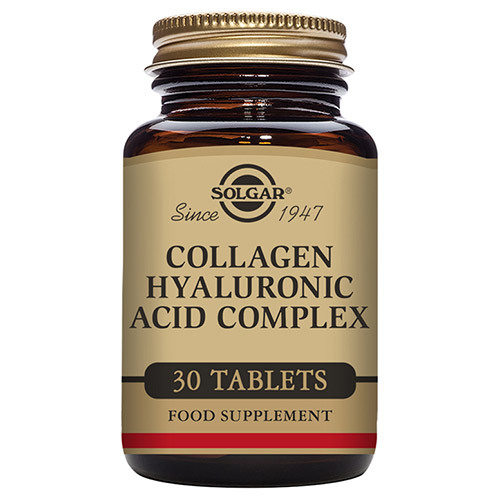 With age, levels of hyaluronic acid in the skin decrease. This age-related loss of hyaluronan may be a contributing factor to fine lines and loss of plumpness. Collagen is an important protein which plays an important role in skin health. It both protects and supports the healing of skin, thereby increasing skin firmness and integrity, helping to smooth out fine lines and wrinkles. Added vitamin C contributes to the protection of cells from oxidative stress. BioCell Collagen II, Hydrolysed Collagen Type II, Chondroitin Sulphate, Hyaluronic Acid; Bulking Agent (microcrystalline cellulose), Vitamin C (as calcium ascorbate), Cellulose Gum, Glazing Agents (hydroxypropylmethyl cellulose, vegetable glycerin (from palm kernel oil and coconut oil)), Anti-caking Agents (silicon dioxide, vegetable magnesium stearate), Colour (titanium dioxide). 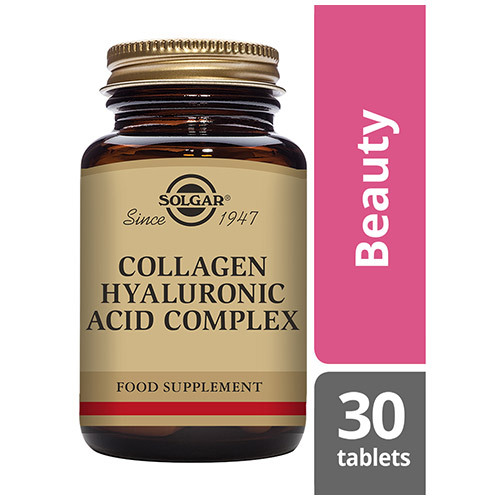 Below are reviews of Solgar Collagen Hyaluronic Acid Complex - 30 Tablets by bodykind customers. If you have tried this product we'd love to hear what you think so please leave a review. Excellent product at an excellent price.Very pleased with my purchase. Always satisfied buying from Bodykind; fast delivery and quality. I have been taking this Solgar supplement for around a month but I didn't notice any changes in skin and joint pain. However, I will continue to take the tablets and decide for future buy. The tablets are a bit hard to swallow. Great product added to my other important vitamins! This tablet is brilliant. Every lady of a certain age, should be taking this. It just plumps everything, to how your skin use to look. It certainly is a repeat purchase. Wouldn’t shop anywhere else but bodykind. Brilliant service, delivery & price point. Highly recommend.